*NEW* FREE SHIPPING! Enter code FREESHIP at checkout. 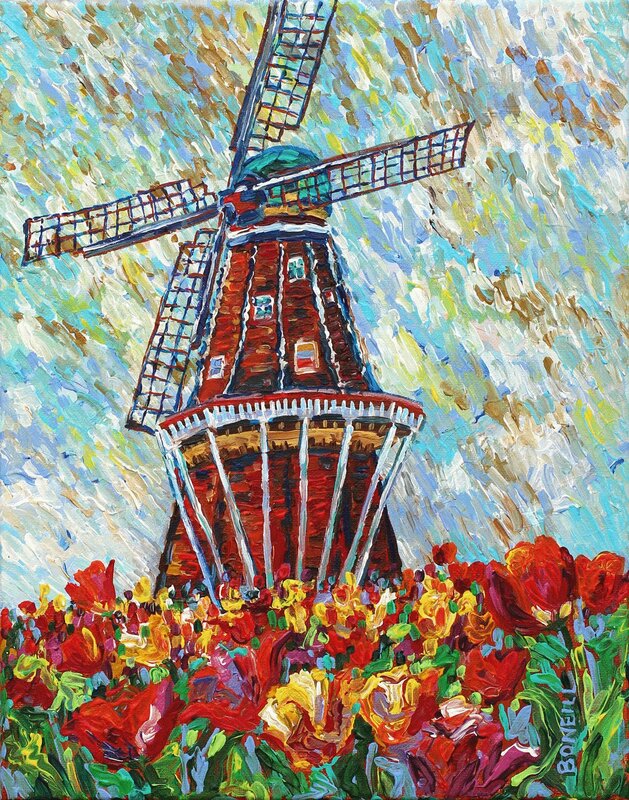 Inspired by a visit to Windmill Island in Holland Michigan, this is a beautiful giclee print that can be ordered on either Enhanced Matte art paper or a gallery wrapped canvas.